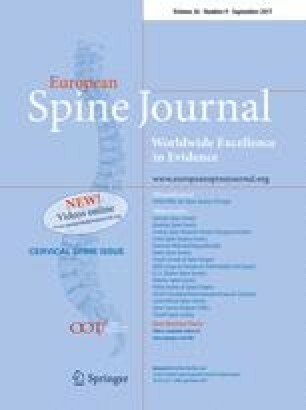 To investigate the correlation of cervical spine alignment changes with aging in asymptomatic population. Previous studies demonstrated the influence of lumbar and thoracic spine on cervical spine alignment, but few has reported the cervical spine alignment change along with aging in asymptomatic population. Asymptomatic population were divided into four groups according to different ages (Group A: ≤20 years; Group B: 21–40 years; Group C: 41–60 years; Group D: ≥61 years). Each group was composed of 30 subjects. The following parameters were measured: C0–1 Cobb angle, C1–2 Cobb angle, C2–7 Cobb angle, C1–7 sagittal vertical axis (C1–7 SVA), C2–7 SVA, central of gravity to C7 sagittal vertical axis (CG–C7 SVA), Thoracic Inlet Angle (TIA), Neck Tilt (NT), cervical tilt, cranial tilt, T1 slope (TS), TS-CL, and ANOVA statistical method was used to analyze the differences among four groups, and then, linear regression analysis was performed to analyze correlation of the cervical spine alignment with the aging. C1–7 SVA, C2–7 SVA, CG–C7 SVA, TIA, NT, TS, and cranial tilt were found statistically different among four groups (P < 0.01). From Group A to Group D, the mean C1–7 SVA were 30.7, 26.0, 21.8, and 36.9 mm, the mean C2–7 SVA were 18.7, 14.7, 11.9, and 24.7 mm, and the mean CG–C7 SVA were 19.6, 16.6, 9.4, and 26.7 mm. The mean TIA were 62.4°, 65.0°, 71.8°, and 76.9°, the mean NT were 39.4°, 43.8°, 46.3°, and 48.2°, the mean TS were 23.0°, 21.1°, 25.5°, and 28.7°, and the mean cranial tilt were 5.7°, 4.8°, 3.0°, and 9.5°. Further linear regression indicated that TIA (r = 0.472; P < 0.0001), NT (r = 0.337; P = 0.0006), and TS (r = 0.299; P = 0.0025) were positively correlated with aging. A gradual increase of TIA, NT, and TS, accompanied with an increased CL, is found along with aging in asymptomatic population, among which TIA, NT, and TS are significantly correlated with physiological nature of aging. Yiwei Chen, Jiaquan Luo, and Zhimin Pan contribute equally to this study. Funding was provided by 5511 innovation-driven program of Jiangxi Province Department of Science and Technology (Grant No. 20165BCB18017), National Natural Science Foundation of China (CN) (Grant No. 81460405), Key Program of Jaingxi Provincial Department of Science and Technology (Grant No. 20152ACB21024), and Research Program of Health and Family Planning Commission of Jiangxi Province (Grant Nos. 20155087, 20155110).